Fine art, handmade jewelry, sculpture, wellness, botanical & holiday floral decor, ceramics, fiber art, homewares. This entry was posted in Upcoming Events on November 5, 2018 by oliver. Join us Saturday, November 11, 2017, from 1-8 PM for Art, Food, and Music! 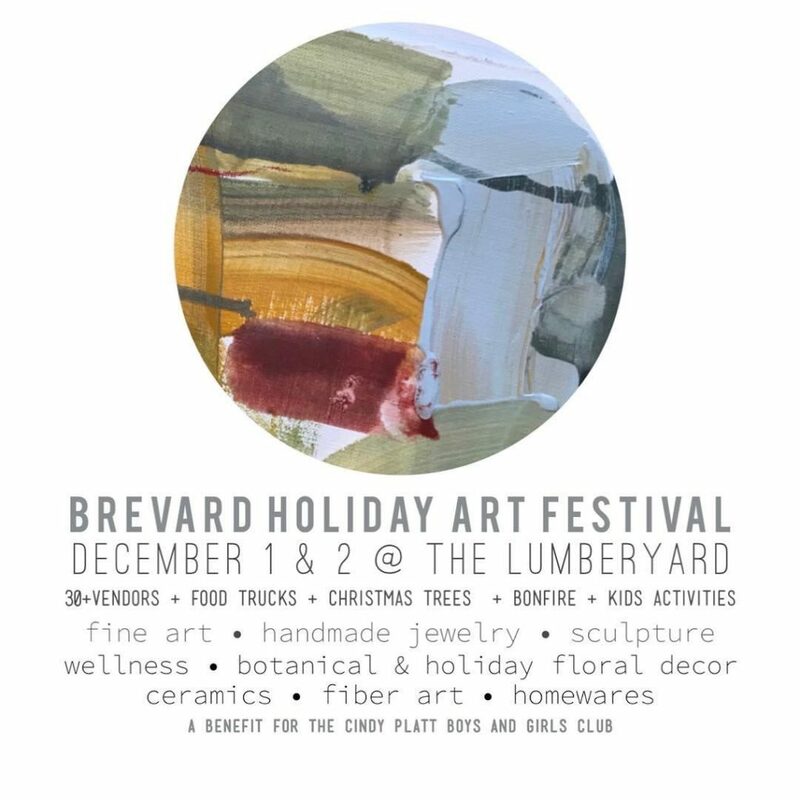 The LumberYard Arts District in Brevard is a work of art. Creative and authentic, it’s a place to experience and enjoy art, antiques, music, bikes, food & drink. The businesses in the LumberYard Arts District are working hard to breathe new life into a great neighborhood with a long history. They believe in the power of the arts to create exciting opportunities and beautiful spaces where amazing things can happen. 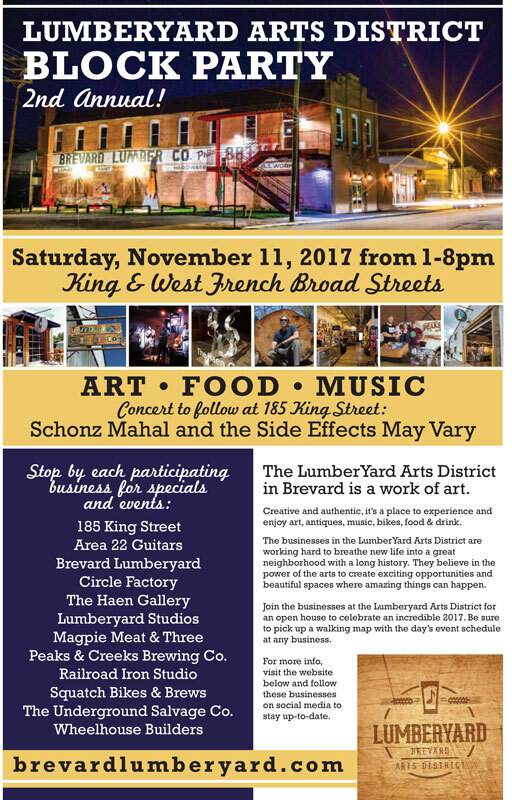 Join the businesses at the Lumberyard Arts District for an open house to celebrate an incredible 2017. Be sure to pick up a walking map with the day’s event schedule at any business. For more info, visit the website below and follow these businesses on social media to stay up-to-date. This entry was posted in Past Events on October 30, 2017 by oliver. Support Art! Spread the love, spread the cheer! 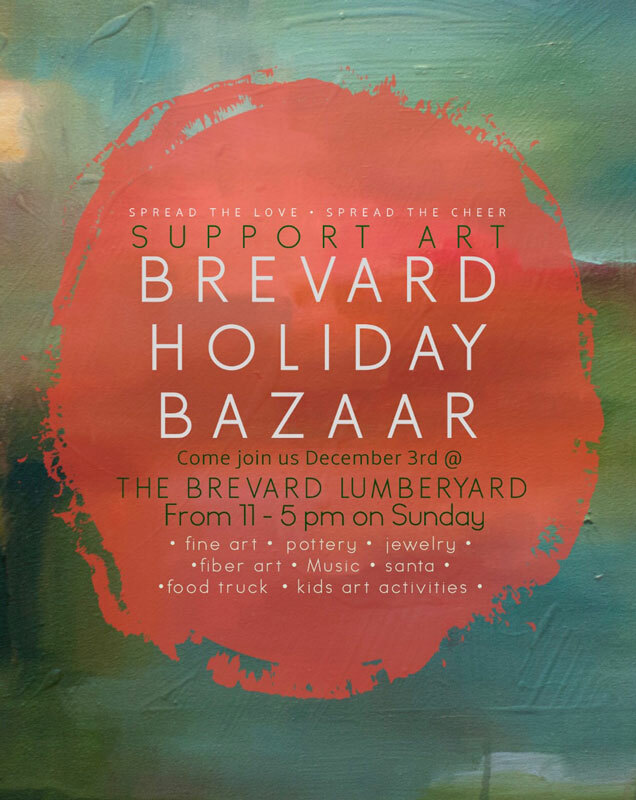 Come join us December 3rd at Brevard Lumberyard from 11 – 5 PM on Sunday. Fine art, pottery, jewelry, fiber art, music, Santa, food truck, kids art activities and more. 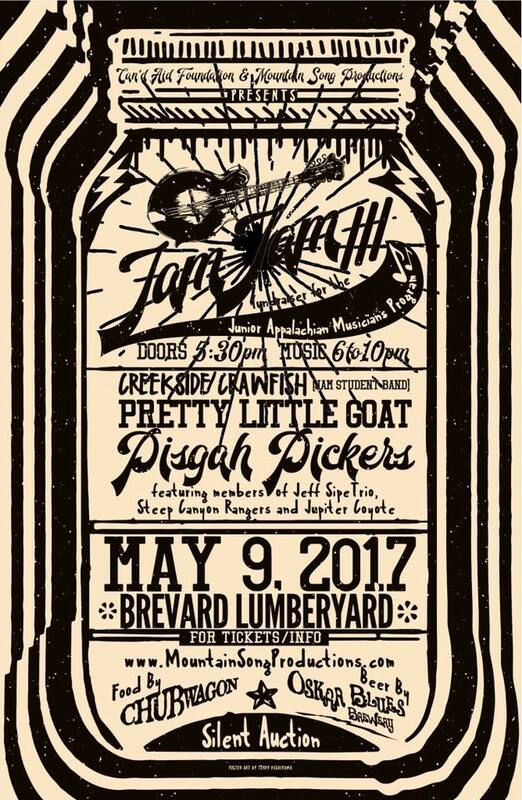 The Transylvania Community Arts Council will host their summer fundraiser called Art Spark – ignite your passion for the ARTS . . .
a summer party and art auction of artwork created and designed by local artists on Sunday, August 13th starting at 6 pm. 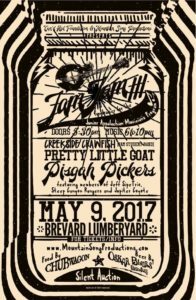 The event will be held at the Brevard Lumberyard Arts District, located at 200 King Street in Brevard. Tickets are $65. This entry was posted in Past Events on July 25, 2017 by oliver. It was again an honor to host the fundraising event that will benefit our Transylvania Hospital and Mission Hospital. This entry was posted in Past Events on March 15, 2017 by oliver. This entry was posted in Past Events on March 14, 2017 by oliver. This entry was posted in Past Events on March 13, 2017 by oliver.